Just having a cup of coffee in the Strathcarron Hotel, after negotiating the eight miles up and down from Ben Dronaig Lodge to the road end at Attadale this morning. 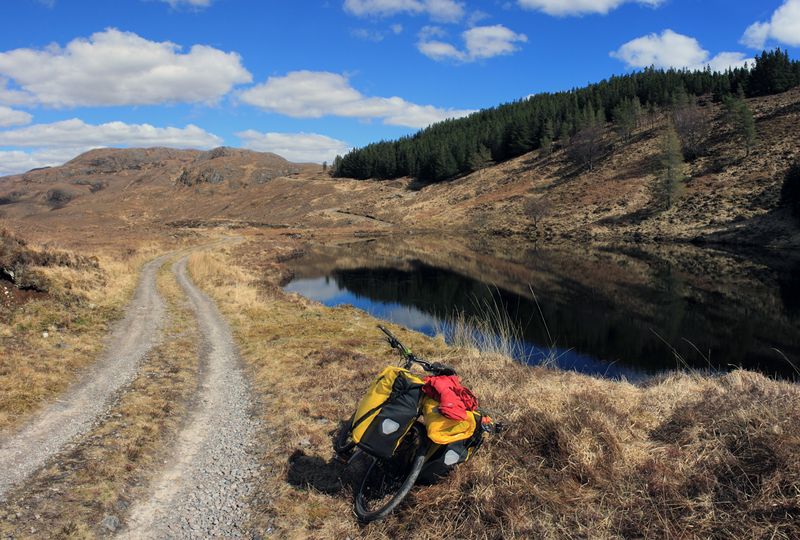 I had allowed myself the thick end of two hours to make it out, but in the end took a very presentable 75 minutes, helped by some pretty nervy slaloming down the switchbacks above Loch na Callich. 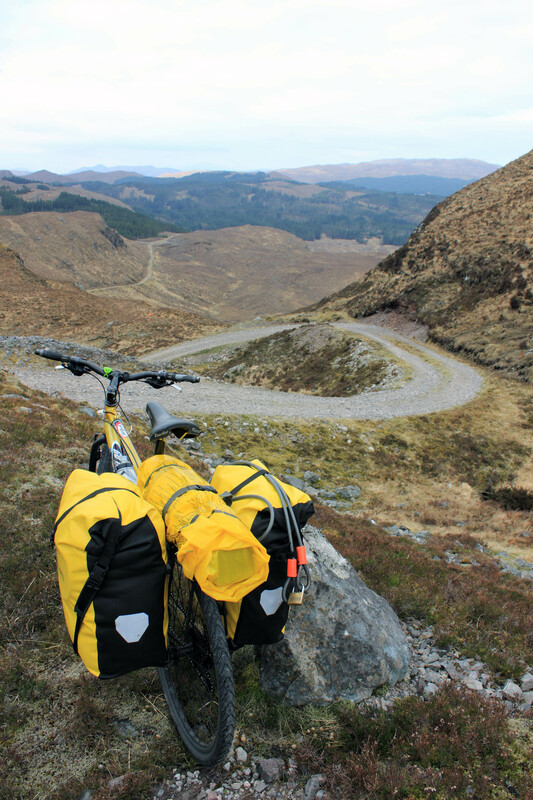 The dead weight of the panniers certainly adds to the momentum, which was still considerable despite shedding the three days of food I took in on Saturday. I am making a mental note about going light weight on a trip sometime in the future, but I’m not ready to sacrifice my eggs and fresh milk just yet. 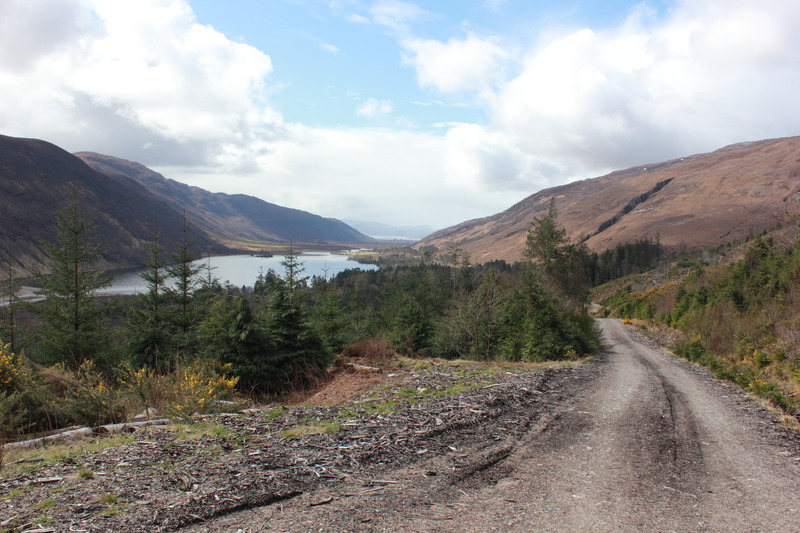 I even took the hill over from Attadale halt to the pub in good style, the allure of my first caffeine fix for 72 hours pulling me along, having left a small jar of Nescafe off my notional shopping list before heading into the wilderness. ummmm, a long way to A & E in Inverness…. 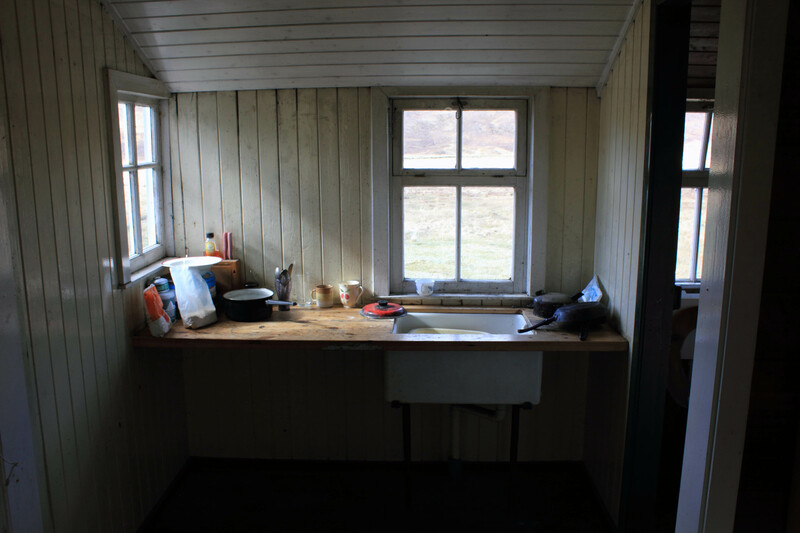 I’ve just spent three nights out in this remote outpost, which must be one of the most luxurious bothies in the highlands, sporting not only a sink and draining board, but also working dunnie, and a choice of three well drawing fireplaces. 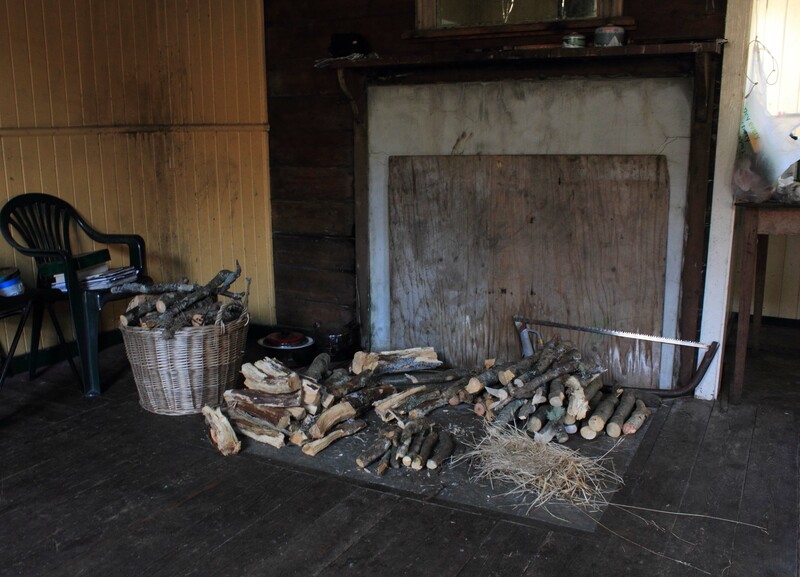 And anecdotally it seems, the estate more often than not leaves a supply of wood for the weary traveller, and certainly on this occasion my luck was in. 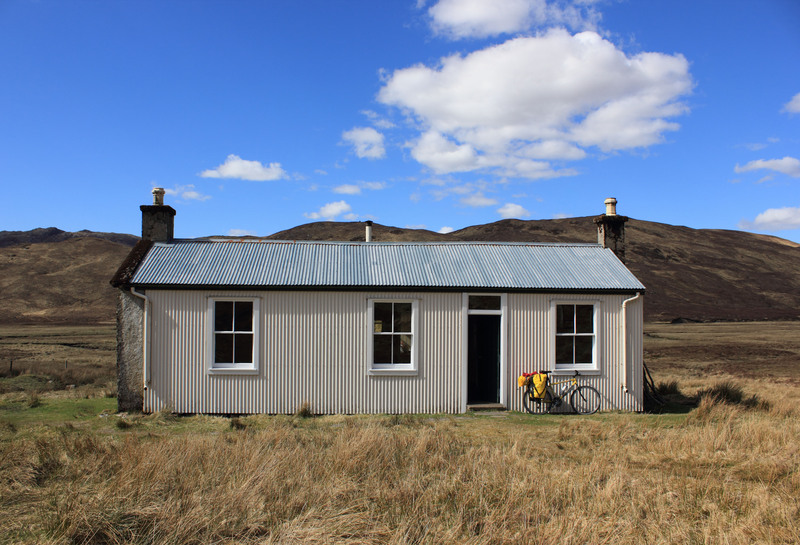 Hoofing the bike over the bealach was no small undertaking, but well worth it, as the shelter is an excellent base to explore further into the area east towards Loch Monar, which is seriously remote territory. The first part of my week away has been spent in the only slightly more salubrious surroundings of Couldoran Lodge, a ridiculously large and very well appointed house, located six miles north of Lochcarron on the road over to Sheidaig, which was the base for the annual post Easter gathering of friends and their families. 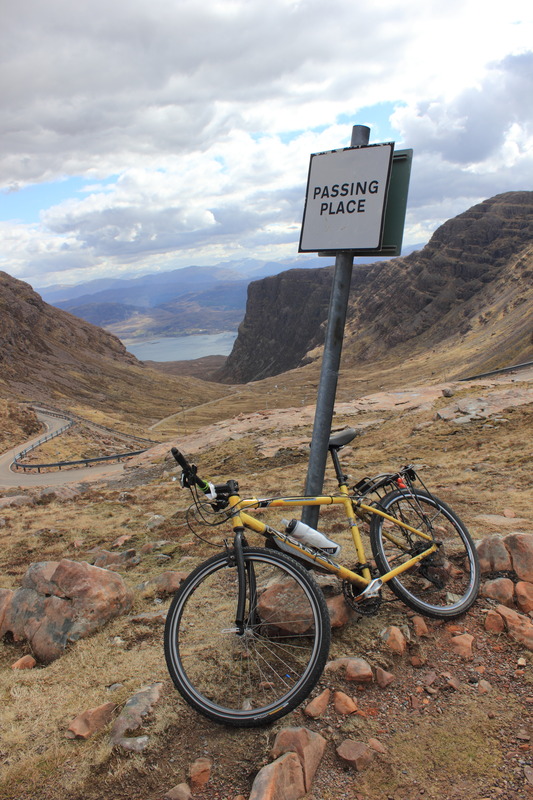 In pedalling terms the main local point of interest is the infamous Bealach Na Ba, the renowned cycling test piece which I had driven over with my sister last year on the way to Uags. 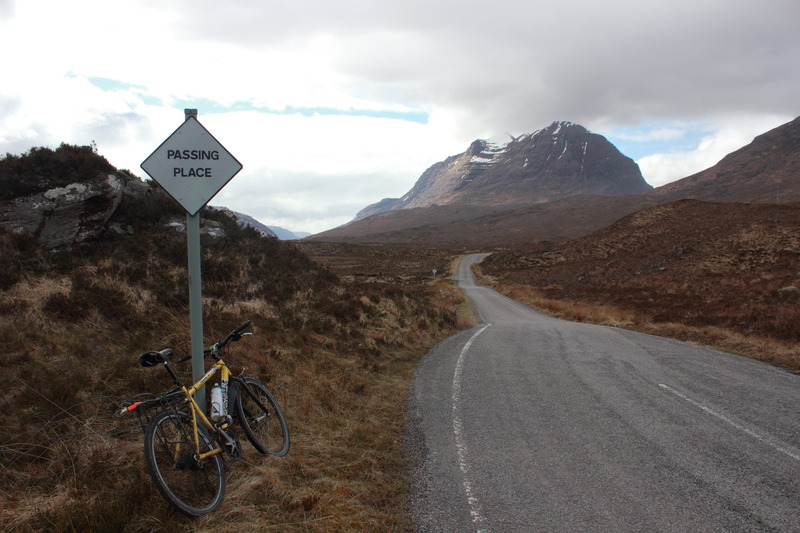 Before I pitched up I had no real intention of attempting it, because I thought it would be much beyond me, but as it turned out, the muscle memory of tapping out the miles over the last couple of years was still in the system. I wasn’t really expecting this part of my holiday to turn into some kind of bicycle boot camp, but by seven thirty on the first morning after my arrival, I was up on the bend below Cioch Nose wondering if I was going to have to get off and push up the final switchbacks, and if I had enough Haribo star mix to stop me completely ‘bonking’ full stop, as it were. Well I made it without too much pain, and in fact by the time we were packing up to leave, pretty much the entire troupe had been over. This included a very rewarding trip with five of the most intrepid kids, who were well up for an attempt, their ages ranging from nine down to six! From lay by to lay by on the final stretch, but they all made it, in fact the most apprehensive bit was shepherding them down into Applecross village, as they seemed to have no fear. Inspired by my rude wake up call, I took off the next day to try and tick off Coire Fionnarich bothy below Mael Chean Dearg, and also Easan Dorcha (the Tea House) which is tucked down off to the west of the Coulin Pass, over from Glen Carron to Torridon. I thought it would be an A to B to C affair, and back again in time for an afternoon snack, but being still blind to elevation, and after a wee power nap in the Tea House, I realised that it was easier to complete the round through to the bottom of Beinn Eighe, and round back to the house via Torridon village and Sheidaig rather go back the way I came. I made in good style just about, and was very grateful that my sous chef duties had been passed on to the ever reliable Ruedi. 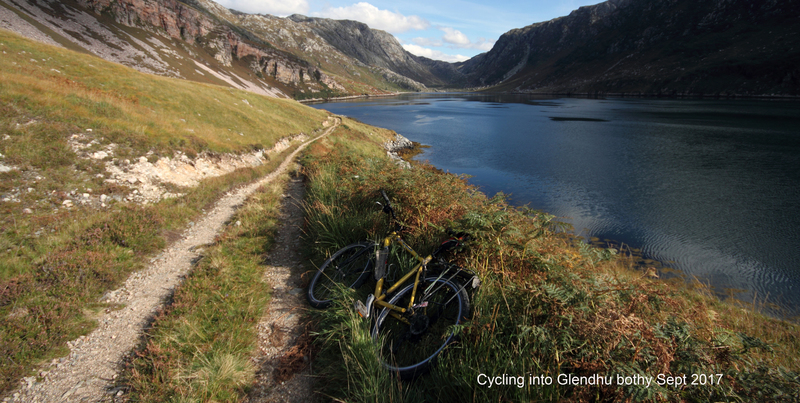 50 miles cycling plus a four mile walk in and out from Coulags to Coire Fionnarich? Perhaps I wasn’t as unfit as I thought. After all the socialising, it was with mixed feelings that I headed out to Ben Dronaig. 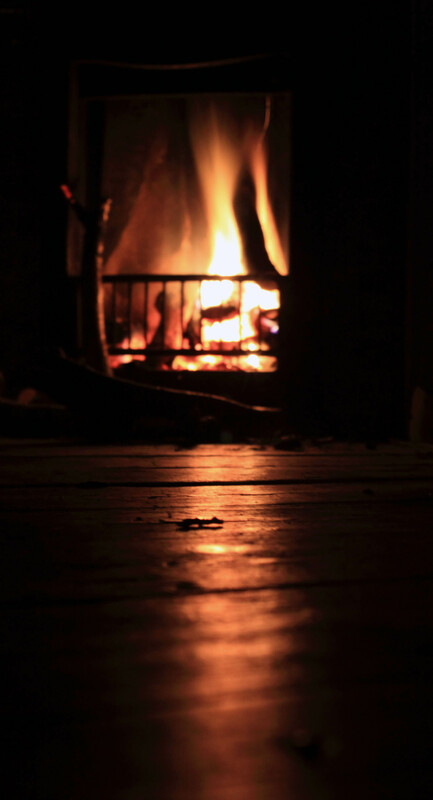 I do enjoy my solitude but it was quite a jar when I had settled in on Saturday evening, especially as I’m sorry to say I’m now back in the land of the lonely hearts. 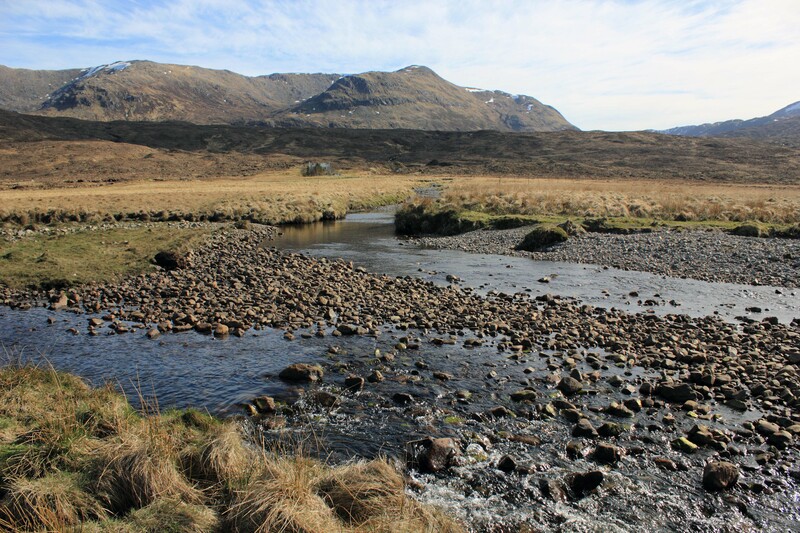 However, my change in circumstances means that I can throw myself back into the mission to complete the round, and the focus for all the time I’ve spent travelling round the highlands could soon be starting to pay off. 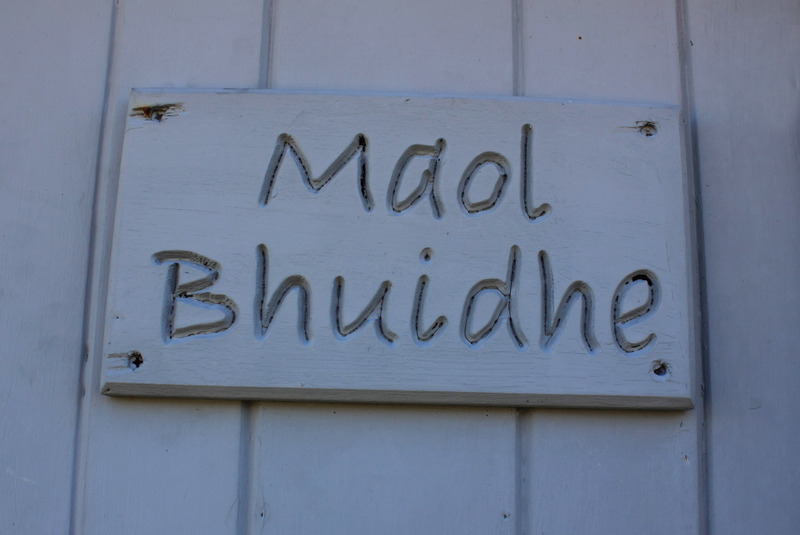 I had also been so looking forward to heading out here, because I was off to reacquaint myself with the hallowed temple of Maol Bhuidhe. 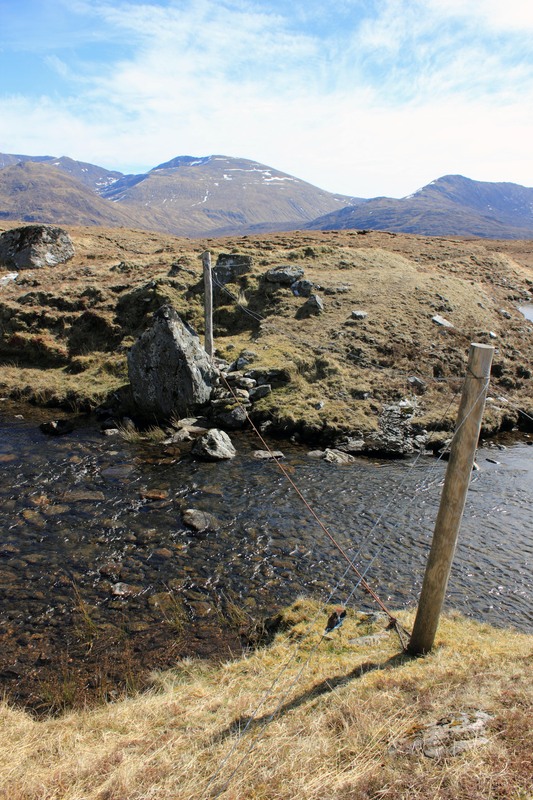 This is the most isolated of the MBA bothies, over ten miles walk in from either south, west or north, and surrounded on three sides by water courses that are pretty serious obstacles if the weather deteriorates. The last time I was out here seemed like a life time ago, the first big trip after what had been a difficult couple of years, armed with only some ageing kit and a cardboard camera. I had hoped to stay overnight this time, but the logistics were just too complicated, so I had to satisfy myself with an afternoon sojourn. 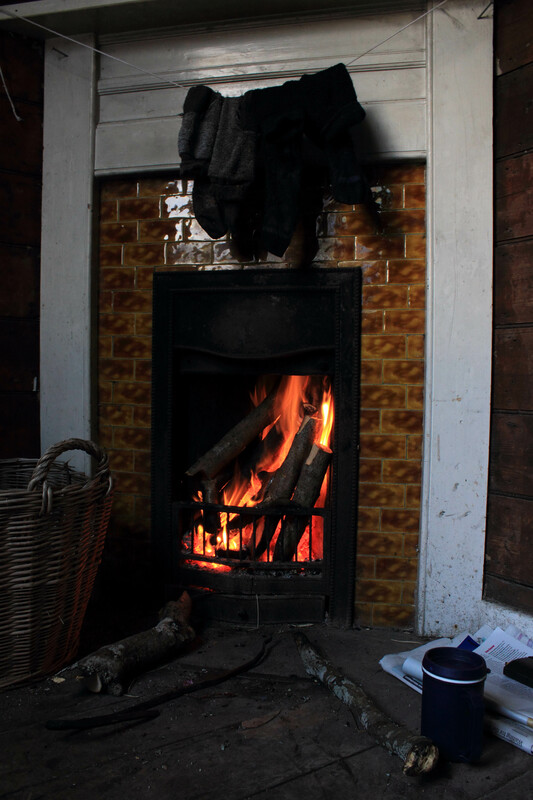 It was great to be back and relive a very positive turning point in my life, the first time I had felt truly self sufficient since life had thrown me a rather vicious googly in 1999. I also squeezed in a wee wander over to Bearnais yesterday, relieved that after an action packed itinerary, I could finally allow myself an afternoon just reading the paper. It really has been the most energising and life affirming week. 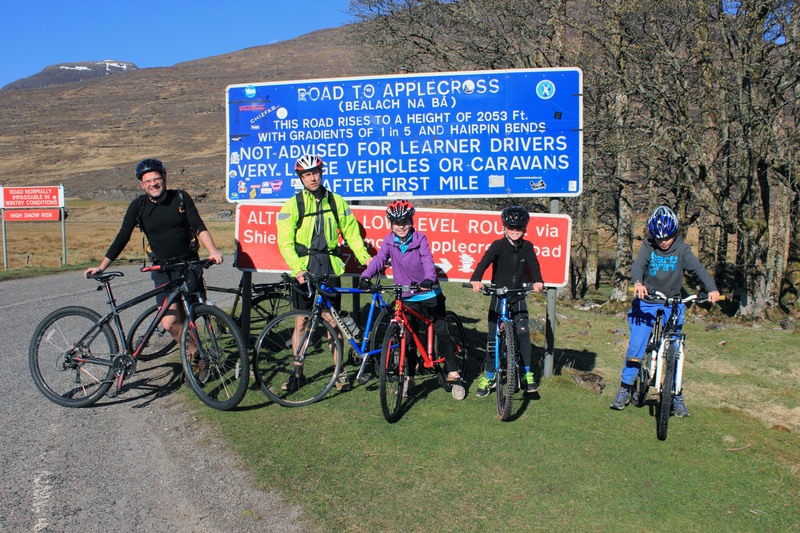 This entry was posted in cycle tours and tagged Bearnais, Ben Dronaig Lodge, Coire Fionnaraich, Easan Dorcha (The Tea House), Maol Bhuidhe on April 23, 2015 by bothiesonabike.